How many times have you heard that explanation when you called a company and found yourself attempting to navigate a labyrinthine customer service call system? And how many times have you rolled your eyes, doubted it was true, and suspected that there was no way such involuntary wiretapping ever could benefit you, the customer? Count The Curmudgeon among such suspects. Surely this does not surprise you. The Curmudgeon recently made the heart-breaking decision that he needed to part with the nicest and best piece of furniture he has ever purchased in its life. It’s an entertainment unit, he found it at an unpainted furniture store, and he picked the color and the finish of what turned out to be a beautiful and highly functional piece of furniture that served him wonderfully for a decade. But as is the case with many people as they age, The Curmudgeon has found his eyesight to be faltering and reluctantly – very reluctantly – conceded that it was time to abandon his nineteen-inch Zenith for a modern and much larger television because he can no longer see either the whites of their eyes or the score of the ballgame. Getting rid of old furniture has always been a challenge. When The Curmudgeon lived in Philadelphia there was a neighborhood church group that picked up furniture if it was in decent shape and sold it or even gave it to people who needed inexpensive furniture and then used the proceeds, if there were any, for charitable purposes. The Curmudgeon has had no success finding such a group on the New Jersey side of the river, but that loss has been offset, at least to a degree, by the emergence of Craigslist. In general, you can find anything you want on Craiglist and can sell anything you want on Craiglist and do it all without spending a dime. But it’s different with entertainment centers. The entertainment centers of old were built to hold the televisions of old – televisions much smaller than people want to watch these days. 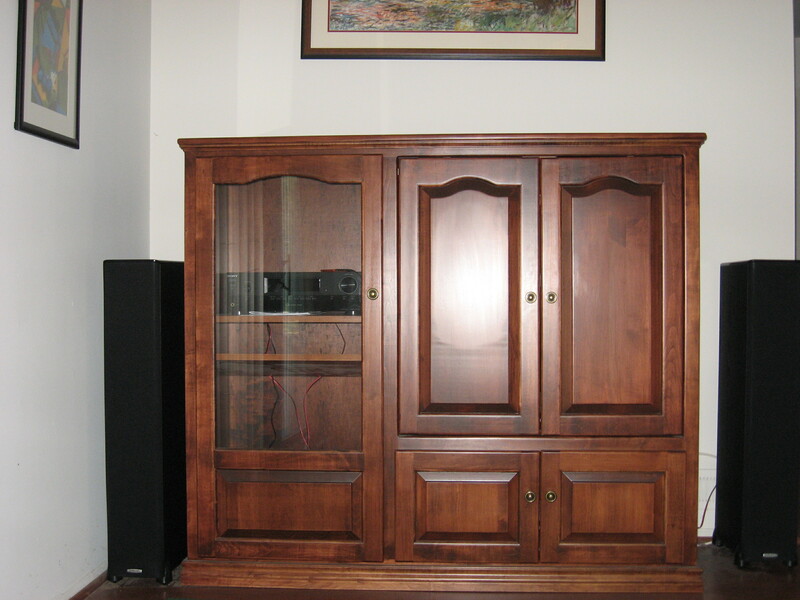 As the Curmudgeon understands it, stores that sell used furniture, even high-end used furniture, are so overstocked with obsolete entertainment centers that they will take no more of them. Nothing doing. Not a single inquiry: not at $100, not at $50, and not at nada. So The Curmudgeon called 1-800-Got-Junk, answered a series of questions about the unit, and was told it would cost $59 to haul it away. But when the crew claim, its leader showed The Curmudgeon the company’s price list, and there, clear as day, it said ‘Entertainment Centers – $129.” TV stands, on the other hand, were $59. The Curmudgeon decided that his beef was with the company, not the pick-up crew, so he paid the $129 and was on the phone to the company before the 1-800-Got-Junk truck was out of the parking lot. He spoke to a representative of the company who explained the policy, seemed highly skeptical of The Curmudgeon’s story, and said it costs $129 to haul away entertainment centers. The Curmudgeon pointed out that he had even been asked how large the unit is and had responded with its exact dimensions (again, surely this does not surprise you). The representative’s skepticism remained, but he said he would turn the matter over to a customer claims representative and that The Curmudgeon would hear from that representative within twenty-four hours. …and he agreed that The Curmudgeon had represented his entertainment unit precisely and accurately and that the company’s operator had not asked the right questions and misquoted the price. It was not The Curmudgeon’s fault, he said, and The Curmudgeon therefore should not be responsible for the $70 difference between the price quoted and the amount charged. And he said he would put a check in the mail for the difference – and two days later, sure enough, it arrived. So the next time you hear “This call may be recorded for quality control purposes,” don’t automatically dismiss the claim. 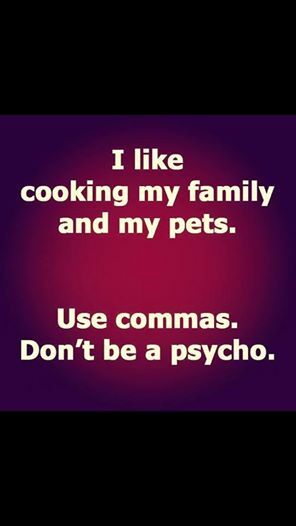 Because it may just be true! On an episode of the old television series Family Ties, the Michael J. Fox character “Alex P. Keaton” explained that he had a favorite economist: Milton Friedman. The Curmudgeon never cared for Milton Friedman even a little but still thought it was pretty funny that a teenaged character in a television show would have a favorite economist. The Curmudgeon, as it were, has two favorite historians. One of them is James MacGregor Burns, who passed away a few days ago just two weeks shy of his ninety-sixth birthday. Mr. Burns wrote perceptively, with grace and style, about all of his subjects, but his specialty was leadership and power, especially as they were exercised by presidents. Remarkably, at the age of ninety-one, Mr. Burns published Packing the Court: The Rise of Judicial Power and the Coming Crisis of the Supreme Court. Of all of his works, The Curmudgeon is most fond of his trilogy on American history: The Vineyard of Liberty, The Workshop of Democracy, and The Crosswinds of Freedom. Together they are massive yet are practically page-turners, and if our schools used books like these instead of dry textbooks, ours would be a nation of history buffs. The Curmudgeon has written before about the town in which he resides: Marlton, New Jersey. The gist of his observations is that small towns tend to be run by people with small minds, and in two previous pieces – here and here – The Curmudgeon has offered a few examples. What’s also interesting is what happens when small minds meet…larger minds. As he wrote previously, earlier this year Marlton renamed one of its streets in honor of Holtec, an international company that has its headquarters here – actually, within walking distance of The Curmudgeon’s home. Among other things, Holtec designs power plants, including nuclear power plants, and is clearly a rising enterprise. So rising, in fact, that Marlton’s mayor and town council – or as The Curmudgeon prefers to think of them, the Three Stooges Plus Three More – renamed a street in the company’s honor. Only a cynic would suggest that the idea was the mayor’s because the mayor wants to run for governor and the head of Holtec is known to make generous political contributions. But Marlton received a nasty lesson in what happens to nice guys last week when it was announced that Holtec would be leaving town for the greener pastures of…Camden, of all places, where the state was providing major financial incentives for the company to abandon one town and relocate in another less than ten miles away (the appropriateness of the state throwing money at a company to leave one of its towns for another is a subject that deserves further scrutiny, but that’s not the subject on the agenda today). Sure, the Holtec people probably liked having their name as their address, but money talks, the company’s leaving town, and Mayor Randy and the Stooges have been left with egg on their face. Just six months after being honored, the honorees announced that they were beating it out of town. Anyone wanna buy some used street signs? In the summer of 1978, The Curmudgeon and two friends took off on an adventure: four days on their own in Atlantic City, a down-and-out town banking on casino gambling for its revival. (It helped, but not as much as everyone hoped.) At the time, only one casino was open: Resorts International. The three boys walked past it at night and saw long lines of people on the boardwalk, waiting to get in. Back in those days, though, you needed to be twenty-one to get into a casino, so all the boys could do was look: that was as close as they were going to get to a slots machine or a craps table. During the day they did what people do in a beach town: they spent time on the beach. For the most part, The Curmudgeon focused on avoiding a sunburn: these were the days before sunscreen products, and he had a long history of ruining vacations on the very first day by getting a bad burn. Other than staying covered, there was little he could do about it because the mirror mirror on the wall said that HE was the fairest of them all. He also wasn’t much of an ocean person, whereas his friends were both serious swimmers: one had been a nationally ranked swimmer in his youth and the other had been on their high school swim team. On one of the days, one of the boys, S, decided he wanted to build a sand shark. The Curmudgeon had never done such a thing, never even seen such a thing, so his job mostly was to dig where he was told to dig and get water for more skilled hands to apply in the needed ways. The final creation was pretty good, a site to behold, but how to capture it, keep it as a memory long after the surf washed it away? This was 1978, cell phones with cameras were decades away, and the boys had no camera of their own – but just a hundred yards or so away was a boardwalk filled with shops that had cameras. S told the third boy, L, to keep an eye on the shark and then led The Curmudgeon back to the boardwalk, where they entered a mom-and-pop souvenir and sundries shop. It was clear that S would do all the talking. And talk he did. He told the proprietor that he and his friends had just finished a great sand shark and wanted to take pictures of it but had no camera. If we would buy some film, he asked, would the proprietor consider lending him a camera for a few minutes? These were much simpler times, and the woman looked at the two boys and decided she could trust them. She took out a tiny camera – you may remember them, they were so small they looked like toys – and, without being asked, one of the boys handed her his keys and they promised to return in a few minutes with the camera. They ran down to the beach, took their pictures, and then returned with the camera and to offer their grateful thanks. This all came to mind recently when The Curmudgeon spent a few minutes looking at the Facebook pages of some friends and found himself on the page of S, who is still his friend nearly forty years later. There, on S’s Facebook page, is a photo of S and his grandson on the beach working together on yet another sand shark. 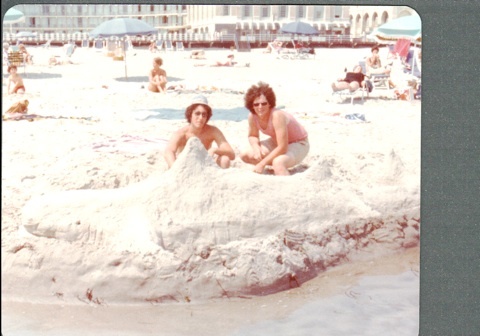 The Curmudgeon can’t share the picture of S and his grandson but he can certainly share a somewhat faded photo of himself with S, and their shark, on the beach of Atlantic City in 1978. The Curmudgeon is the one on the right, in the pink tank top and Afro (get over it, it was 1978). Which just goes to show that we grow up and we grow older but we need not necessarily grow old. Remember when you were growing up and broadcast television consisted of the three major networks, public broadcasting, and UHF stations that showed old black-and-white movies and Gilligan’s Island reruns? The Curmudgeon found himself reflecting on how times have changed last week when he saw a news item about the 2014 Emmy award nominations. Most of the nominated performers appear on programs he has never seen on cable channels he does not receive (or, in at least a few cases, on cable channels he thinks he may not receive but could be mistaken). Network nominees seemed few and far between. How few and far between? The Curmudgeon put pen to paper to do some quick calculations. Best drama series? None of the six nominees came from the major networks (ABC, CBS, and NBC). Just two of the six lead actresses in a drama series nominations came from the networks and none of the lead actor nominees. Just one of the supporting actress in a drama nominees and one of the supporting actor in a drama nominees came from a network series. Two of the six nominees for best comedy series appear on the major networks and just two of the best actress in a comedy nominees and only one of the best actor in a comedy nominees. Have the major television networks ever been so…irrelevant? Donald Trump – “the Donald,” as he has come to be known – has somehow developed a reputation as a great businessman. But it’s a reputation that’s built on smoke and mirrors, on sound and fury signifying absolutely, positively nothing. 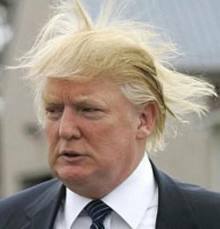 It’s as full of hot air as, well, as whatever that is that adorns The Donald’s scalp. Previously in this space The Curmudgeon has described the four times – four times! – The Donald had to take his Atlantic City casinos into bankruptcy just to save them. But The Donald is a real achiever, so he’s not done just yet, and this week it was announced that Trump Plaza, the last of The Donald’s three Atlantic City casinos will close its doors in September. That’s right: a business enterprise with the The Donald’s name on it has failed. Oh, The Donald will squawk about how gambling in the surrounding states has cannibalized Atlantic City’s business, which is absolutely true, but the real story is that once Atlantic City lost its monopoly on casino gambling, its casinos had to compete for customers and some of them competed more successfully than others. If the pie is smaller, which it is, some have managed to keep their piece or to grab a bigger piece while some have floundered and failed. There was a competition for casino gambling business in Atlantic City and Donald Trump, that great, great businessman, that legend in his own mind, lost. Because as he has proven in the past, The Donald couldn’t run a successful casino to save his life. Growing up, the only time The Curmudgeon ever feigned illness to get out of school was in third grade, and even then, it was only a partial feigning. He had been home sick legitimately for two days but milked the illness so he could stay home for a third day. Why? Because his parents had bought him a desk, and that third day was when it was to be delivered. Even then The Curmudgeon was a studious type and he couldn’t wait to have his own desk at home, a proper place to do his homework. He also was fascinated by the drawers. What would he put in those drawers? How would he use them? He never thought specifically, “I’ll put this in the top drawer and this in the second and this in the third,” it was always the more general idea that he would have his own drawers to put his own stuff. The disappointment died but his poor use of desk drawers endured: everywhere The Curmudgeon’s ever worked, he’s made very little use of his desk drawers. The only thing you could know for sure about The Curmudgeon’s desk was that if something was inside it, it was something he was unlikely to use very often: the spare socks and underwear he always kept in his desk; an umbrella; a small box of various digestive preparations; a stapler – which, the way The Curmudgeon worked, could go years without ever being touched; and the spare pens he would never need because he never misplaced the pens (one black, one red) he used every day. 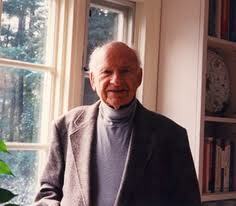 Anything worth having and using, the way he worked, either was on top of the desk or on a shelf, visible at all times. When The Curmudgeon grew up and started living on his own and bought some big-boy furniture he had the same high expectations of his first nightstand, but that proved to be as disappointing as the desk; today, his nightstand is a repository for things that have no other natural home, and he goes months at a time without so much as opening its drawers. Somewhere in the mid-1990s he replaced his childhood desk (another mistake; you should never get rid of such things) with a gorgeous oak roll-top desk; he had long admired roll-top desks for aesthetic reasons, never giving any real thought to their utility. From almost the moment it was delivered he found it to be utterly useless, and after more than ten years of doing little more than taking up space, he found someone on Craigslist to take it off his hands. Many years later The Curmudgeon now works at home and doesn’t even have a desk. He works at a computer armoire that has three drawers, two of which haven’t been opened in months and the third of which he only opens once a month to get his calculator when he balances his checkbook. Otherwise, everything is either on a wood slab serving as a desk-top that folds out from the armoire or in little translucent plastic bins sitting on a shelf – additional pens, paper clips, assignment books, index cards – The Curmudgeon is very big on index cards, white for taking notes, blue for special notes, dark pink for category headings – and more. The stapler is still in a drawer, lonely and untouched for long periods of time. Last Friday the memory of the anticipation of the arrival of his first desk was rekindled while The Curmudgeon awaited another delivery: a new vanity for his bathroom. He already had a decent vanity with good storage, but while walking through Lowe’s a few weeks ago he saw this spectacular vanity with a marble top and…drawers! It practically took his breath away, it was so beautiful. The truth is that he hadn’t been in the market for a bathroom vanity and just noticed this one while passing from one part of the store to another, but immediately, he knew he wanted it. Want, though, is not the same as need, and he left the store that day without acting on his desire. He returned a week later to look again at the beautiful vanity, and like a beautiful woman he again found himself wanting it, but because it did not rise to the level of need, he again left the store without acting on this mere want. He’s currently in the process of making some home improvements, however, and his checkbook is uncharacteristically open, so something that seemed like an unjustifiable luxury, a want and not a need, suddenly became something for which want was enough, so when he returned to Lowe’s a third time, he left the store with a bill of sale and nothing left to do but field a call to arrange delivery and installation. Aside from its handsome appearance, much of the vanity’s appeal was, strangely – drawers! Lots and lots of drawers for a piece of furniture that’s only forty-five inches wide. Even though he has never been a drawers kind of guy, The Curmudgeon, older now and perhaps a bit wiser, immediately saw the potential of a vanity with lots of drawers because more and more, he had found himself down on hands and knees retrieving things from his drawer-less vanity: all of the chargers he used for electronic gizmos, his vast array of skin treatment preparations, both off-the-shelf and prescription, toothpaste and floss, and all those digestive aids he needs to function from day to day. With drawers there’d be less bending, just…bam, open the skin stuff drawer when he’s feeling dry and crusty, boom, slide open a drawer to get the charger for his Kindle or his cell phone, and yes, save the top right-hand drawer for the electric razor and power toothbrush so they’d no longer sit on the countertop all the time. This time, though, there was no disappointment when the vanity arrived: The Curmudgeon had a mental plan for the new piece of furniture and executed it perfectly and with great pleasure that evening. And the next morning, there were the electric razor and toothbrush, right where he wanted them, and when his beard trimmer needed recharging, there was no bending to retrieve the cord. Earlier this week entertainer Justin Bieber pleaded no contest to a misdemeanor vandalism charge for throwing eggs at a neighbor’s house and was ordered to pay $80,900 in damages. 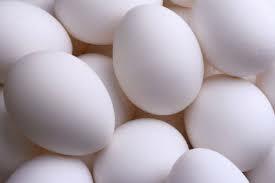 Wait: $80,900 in damages – for throwing…eggs? What was in those eggs: miniature sticks of dynamite? How can you possibly cause $80,900 in damage – incidentally, almost exactly what The Curmudgeon sold his house for in 2003 – throwing eggs at a house? The Curmudgeon attended a Philadelphia Phillies game last night. As he, his brother, and his nephew approached the gate, tickets in hand, his brother turned to him. “They’re probably going to pat us down,” he said. So The Curmudgeon sucked it up and permitted a minimum wage employee of the Philadelphia Phillies to search him for weapons of mass destruction. “They who can give up essential liberty to obtain a little temporary safety deserve neither liberty nor safety,” Benjamin Franklin told us many years ago. The Curmudgeon agrees – and he has attended his last Phillies game.